January is National Glaucoma Awareness Month, so it is the perfect time to find out more about this disease. It is estimated that about three million Americans have glaucoma, but many do not know. While there is not a cure for glaucoma yet, recognizing symptoms in elders can help to begin early treatment, which can minimize vision loss. Family members and caregivers should be alert for signs and should take seniors to a medical professional if any glaucoma warning signs are present. There are two main types of glaucoma, so symptoms and the type of treatment provided may vary between the two. In open-angle glaucoma, fluid builds up in the eye and causes pressure as a result of blocked drainage channels. In angle-closure glaucoma, the iris bulges and causes the drainage angle to become blocked. Understanding what factors may increase the risk of developing glaucoma may be helpful in indentifying and treating the disease early. If increased risk factors are present, it is recommended that adults over the age of 60 be screened for glaucoma every one to two years. Family history of the disease greatly increases the risk of developing the disease. Poor vision or a history of eye injuries may also increase the risk of glaucoma development. Conditions such as diabetes, hypertension, and low blood pressure increase the likelihood of developing glaucoma, as does taking prednisone or other steroid medications. Glaucoma causes damage to the optic nerve, which eventually causes blindness if not treated. Decreased or impaired vision and blindness can greatly impinge on independence and the ability to perform daily tasks. For seniors that live alone, this may mean an increased need for assistance. 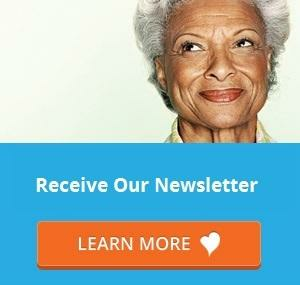 Glaucoma can have a severe impact on the quality of life for elders. If glaucoma is detected early enough, medical professionals may be able to decrease the pressure in the eye using medications or surgery. This can help seniors to retain vision, as well as slowing glaucoma progression and alleviating some symptoms. Medical professionals may also recommend continuing treatment with eye drops to keep the eyes moist and distribute medication directly to the eye where it is needed.